There are a broad variety of content areas tested on the MAT. The majority of them fall within subjects that might be considered standard undergraduate majors; others are more general knowledge. Let’s take a look at some of the categories. This includes topics of culture, work, business, or life experience. It is worth noting that culture, work, or life experience will tend to be more specific to life in the U.S. ( and, largely, the UK as well). Students from outside the U.S. will need to immerse themselves in reading to do well in this area. The Humanities include history, fine art, literature, philosophy, religion, and music. Overall, nothing produced more recently than the 1970s will feature in these categories. Literature will primarily reference works by authors like Steinbeck or Austen. Philosophy will reference figureheads like Socrates or Spinoza. Essentially, these questions are about the bedrock of the content areas listed: the things you learn about in the first 1-2 years of study. Mathematics refers to numerical, quantitative, and computation content. The overall math level on the MAT is not exceptionally high, though it will prove troublesome for vocab-centric students who may have avoided math throughout college. Most concepts can be learned to the appropriate depth using introductory resources featured on sites like KhanAcademy. Language includes vocabulary, word meanings, grammar, and usage. The vocabulary can be covered through a combination of high level flashcards, like the Magoosh GRE Vocab, and daily reading. Grammar is something that can take a bit more specific brushing up, but I would not say the MAT extensively questions grammar. Natural sciences include biology, chemistry, physics, ecology, and astronomy. Not unlike humanities, this will not be in-depth, upper-level concepts. Instead, it will mostly be introductory information of the kind taught in 1st and 2nd year courses. Additionally, avid readers who occasionally read science articles will likely find themselves equipped for many of the questions. This includes psychology, sociology, economics, political science, and anthropology. Again, we are talking introductory level information. Who’s Freud or Keynes? What is a democracy or a monarchy? 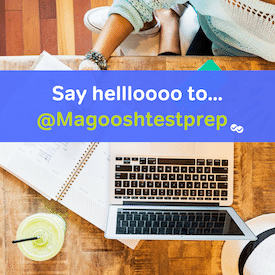 We wrote a blog post on “How to master the MAT” that provides a lot of information on how to make a broad exam like the MAT more manageable. I would suggest familiarizing yourself with it. In addition, I highly recommend reading the official MAT study guide which contains more information on MAT analogies.